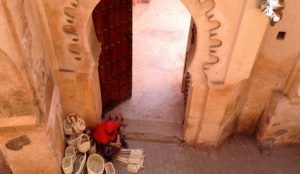 Are you planning a trip to discover Morocco’s “gateway to Africa”? Discover our guide to the best neighborhoods to stay in Tangier! Located on the western coast of the Strait of Gibraltar, only 14 kilometers from the Spanish Andalusian coast, Tangier is one of Morocco’s major tourist destinations, attracting millions of visitors each year. Straddling the both Mediterranean Sea and the Atlantic Ocean, Tangier enjoys a Mediterranean climate with oceanic influences. The city is home to a population of one million inhabitants. It is Morocco’s third largest city after Casablanca and Fez. Thanks to the city’s wide range of accommodation options, you shouldn’t have much trouble finding a place to stay in Tangier: an array of hotels, apartments, and villas dot the city’s streets. Every year, Tangier attracts more and more tourists and expatriates who come to stay in Tangier’s chic or inexpensive districts. Nicknamed “the gateway to Africa” and “the bride of the North,” Tangier is divided into many districts. From the historic city center to the new city, from the old Medina to the outskirts, discover where to stay in Tangier. Boasting an exceptional historical heritage, the Medina offers a maze of colorful alleys dotted with shops and charming residences. Place du Petit Socco, the central square also known as the “Souk Dakhli,” offers a colorful scenery, exuding deliciously spicy fragrances. 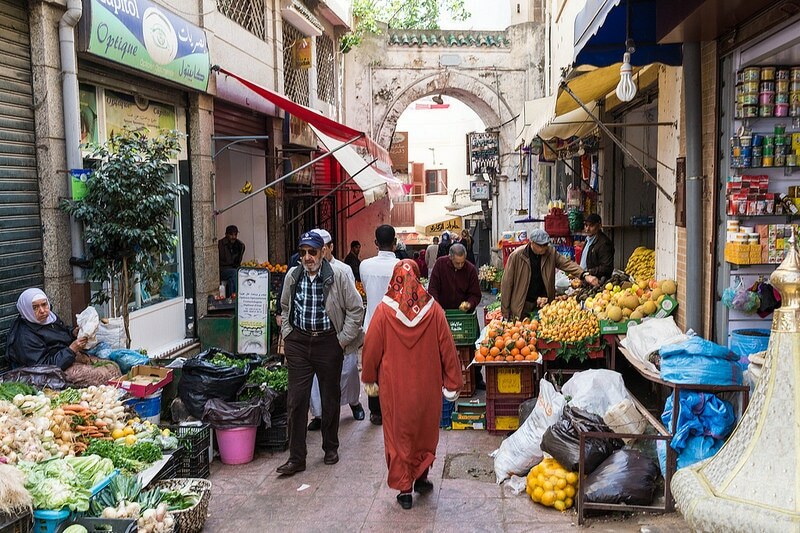 The Medina’s many shops, cafés, and traditional restaurants attract visitors all year round. Enjoy a mint tea before heading to the Grand Théâtre de Cervantes, visiting the Kasbah Museum – retracing the history of Tangier life from pre-Islamic to Roman times – or going on a walk along the road to Mercala Beach. In the Grand Socco, discover the Cinémathèque de Tanger (The Film Library of Tangier), a cinema that screens films, and regularly hosts numerous concerts, plays, and cultural encounters. 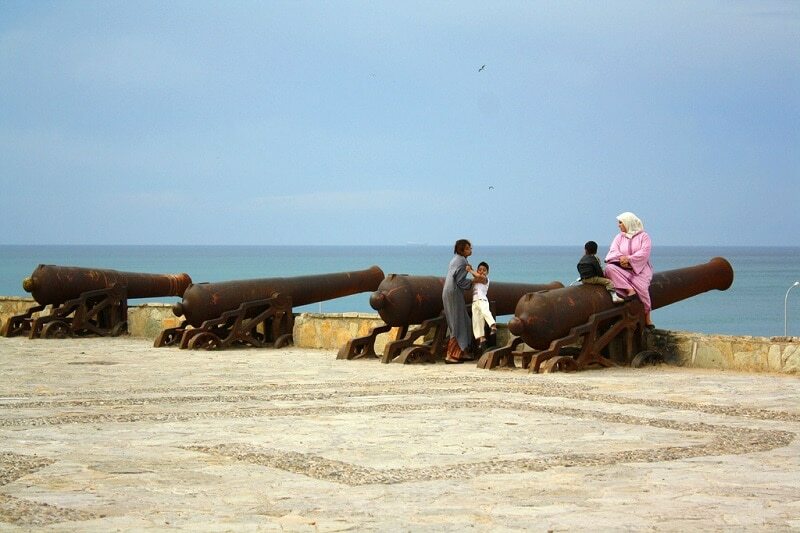 Through the Bab Bhar Gate, you will enjoy a superb view of the Strait and the city of Tangier. On a clear day, you might even catch a glimpse of the Spanish coastline. Situated very close to the port, the Tangier Kasbah and souk area is a convenient place to stay in Tangier, ideal to spend your first night in town after disembarking from the ferry. Moroccans call it the “boulibard.” Tangier’s Boulevard is a several kilometer-long avenue extending along the Mediterranean Sea, to the east of the port. The boulevard begins at Sour Al Maâgazine (literally the “wall of lazy people,” nicknamed this way because many onlookers sit here to rest). Welcome to the heart of the modern Tangier. Lined with fashion boutiques, café-terraces, restaurants, bars, ice-cream parlors, pastry shops, homestay accommodation, banks, and shops, the boulevard offers everything you need to enjoy a stay in Tangier. The people of Tangier enjoy walking along this lively avenue from morning to evening and all night long. At the end of the boulevard, the Place des Nations square (Sahat al Ommam) regularly hosts a myriad of events: outdoor concerts, all kinds of shows, children’s games, etc. It also features a skatepark. If you want to experience modern Morocco, choose this area to stay in Tangier. If you need to stretch your legs on a beautiful strip of sand after a shopping session in the Medina, head towards the beach of Tangier. Though it is not the ideal place to swim – the water isn’t very clean – it’s a great place to eat, have a drink, walk along the beach, and attend many concerts (from blues and jazz to rock, and Moroccan music). From the port to Malabata, you will find cafés, restaurants, and clubs where the well-heeled young people of Tangiers come to celebrate. 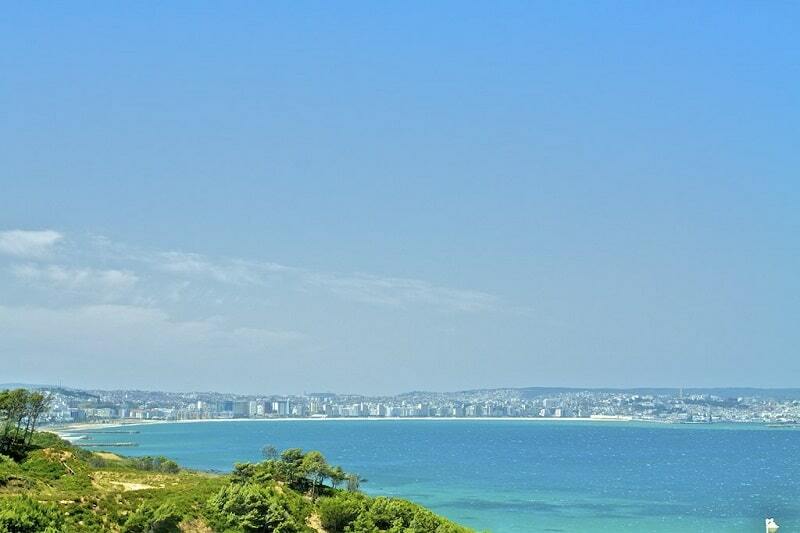 The beach and its surroundings are a great place to stay in Tangier: the best option for young, party-going visitors!